Over the past few seasons we have put together our annual ‘Ones To Watch’ list of who we feel are the top Residency players within the Whitecaps system (You can find links to all the previous years at the bottom of this article). As per every year, the following is a snapshot of where the players currently are in their development, combined with the potential they show to develop into professional footballers. Because potential is so hard to predict, it is not an even measurable with the player’s current status. We feel there isn’t a reason any of the players not mentioned in this piece couldn’t develop into future professionals. The final couple of things to mention this year is that a number of factors have meant that neither Michael or myself have been able to attend as many matches as we would have liked or have attended in seasons past. There has also been a lot of upheaval in the Residency this year with players moving up from the U18s to the MLS and USL sides, while others have left the program for other, non-footballing reasons. That meant a number of U18 fringe players stepped up and several U16 players moved up, with many of the latter playing for both teams over the course of the season. As a result of all of this, we’ve decided to make a slight change to how we usually do the ‘Ones To Watch’ feature. Instead of numerically ranking the players this year, we’ve decided to look at the top talent in each position. So, without any further ado, let’s get AFTN’s Whitecaps Residency Ones To Watch 2015 Edition underway. The attacking midfielder/striker has finished his first year in Residency and has impressed after coming over from FC Edmonton reserves. Has 15 goals on the season so far, including two in this week’s playoffs to help send the U16s into the USSDA quarter-finals. As a striker Amanda has good speed and finishes well in close around the net while being very strong on the ball. He will need to improve his ability to hold up the ball which will come with experience. His third full season saw Campbell (pictured above) move back and forth between the U16 and U18 levels playing both on the wing and as a striker. 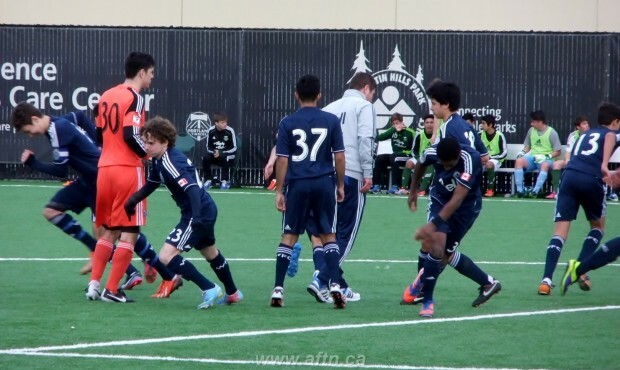 Has 13 goals this season so far, over both age groups, including two in this week’s USSDA playoffs. The Burnaby native has excellent size and strength which allows him to hold up the ball when he plays up top. His tactical awareness allows to make runs behind the opposition backline which is where most of his goals come from. Campbell needs to utilize his size and play more of an aggressive style when attacking which will make the lives of defenders more difficult. Will move up the U18s full-time next season but already has a lot of experience playing at that level to shine. The Manitoba native was expected to provide scoring in his third season, especially after Marco Bustos and Kianz Froese graduated to MLS contracts, but injuries partially derailed the season and he finished with 9 goals in his final year in the Residency program. Musse has both speed and is comfortable on the ball which makes him very effective in beating defenders in 1 on 1 situations. He will need to improve his consistency in order to make it to the next level. 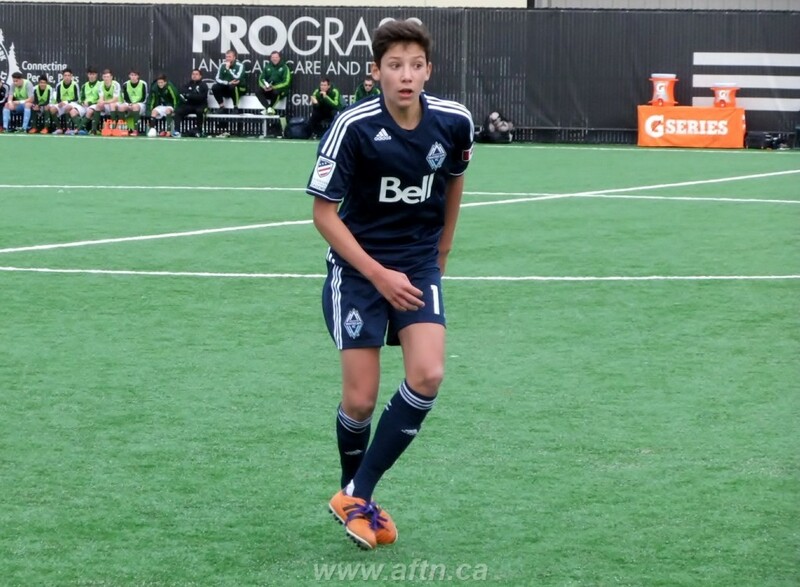 After being used more as a part-time player last season, Sagno burst onto the scene leading the U16s in scoring in his best year yet for the Whitecaps. Has hit 20 goals on the season so far, including finding the net four times in the playoffs this week. Amazingly, Sagno could have had more goals so he needs to be less wasteful in scoring areas. His speed, dribbling, striking of the ball and ability to create his own chances gives him the ability to be a game changer for the team. Will move up to the U18s next season and is one of the most exciting talents in the Residency program right now. Has got better year upon year, so will be interesting to watch how he fares at the next level. An up and down season, mostly due to injury, saw Gardner get limited time on the pitch. Despite this, the creative playmaker has an excellent first touch which makes him very comfortable on the ball. Despite being an excellent passer, the box to box player needs to work on becoming more consistent in his productivity in the final third. Will move up to the U18s next season. 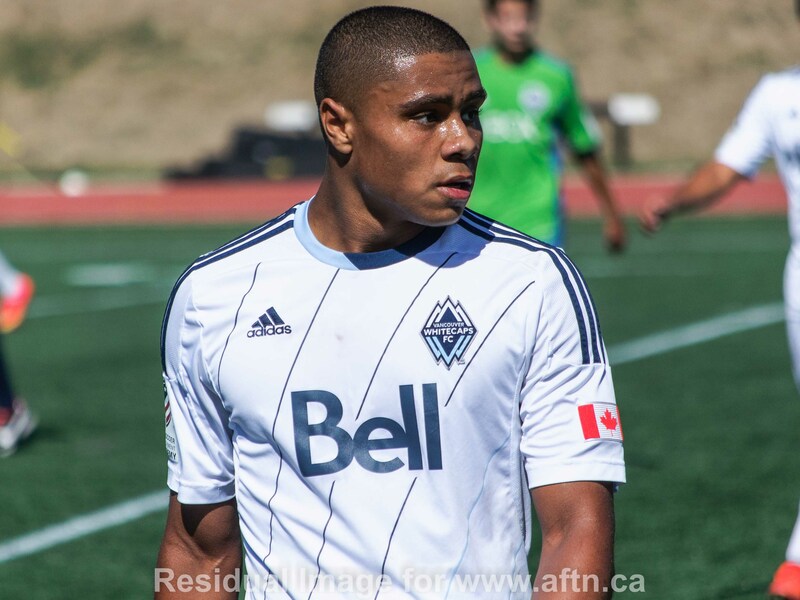 The 2014-15 season was another year that saw Norman (pictured above) improve his stock with the Whitecaps Residency. As a holding midfielder he is comfortable on the ball and loves to take control of the match whether it’s in his passing or tackling. However he sometimes needs to let the game come to him and can’t try to do too much for the team. Another who will be moving up to the U18s next season. It’s been a tough few seasons for the central midfielder, who has missed a majority of his time with the Residency due to major injuries. He has worked his way back to the Residency program after starting with the HPL, before rejoining the U18s midway through the year. Polisi has all the skills to be an impact player in the future and just needs to remain healthy in order to get more time on the pitch. Will enter his final year in the program next season. In his first full season with the Residency the Kitchener native impressed with his athletic ability in his new role as a central midfielder in the U16s. Similar to the other players in this list, Saleh is very comfortable on the ball and shows a high level of skill in addition to a good work ethic. Being new to the role of a box to box midfielder he will need to learn the responsibilities of the position and will get a chance to develop further now that he moves up to the U18s next season. The defender converted from a central spot on the backline to the right side where he has displayed his athletic ability. With the conversion Baires is strong for a fullback and has shown enough attacking aptitude to be a threat when going forward. Being new to the position he will have to get better at defending attackers out wide in one on one situations. 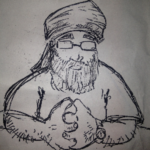 Will enter his final year in the Residency program next season. In his fourth season with the Residency already, the middle of the three Baldisimo brothers has continued his rise in the organization. Even as a central defender he has no issues with the ball at his feet and shows great awareness and vision which may see him transition to a spot as a holding midfielder when he moves up the U18s next season. Baldisimo need to control his temperament because if the match isn’t going his way he can lose concentration leading to mistakes and cards. The Port Coquitlam native has been hailed by many as the most complete player in the U16 team and has the confidence to prove it. Not only does he possess great inside/outside attacking skills from his right back spot but he is also very difficult to breakdown in 1v1 situations. Not a major weakness but Chung will need to work on becoming more consistent in delivering his crosses into the box, especially when he moves up to the U18s full-time next season. Was voted Umbrella Academy’s Under 16 Player of the Year (as pictured). 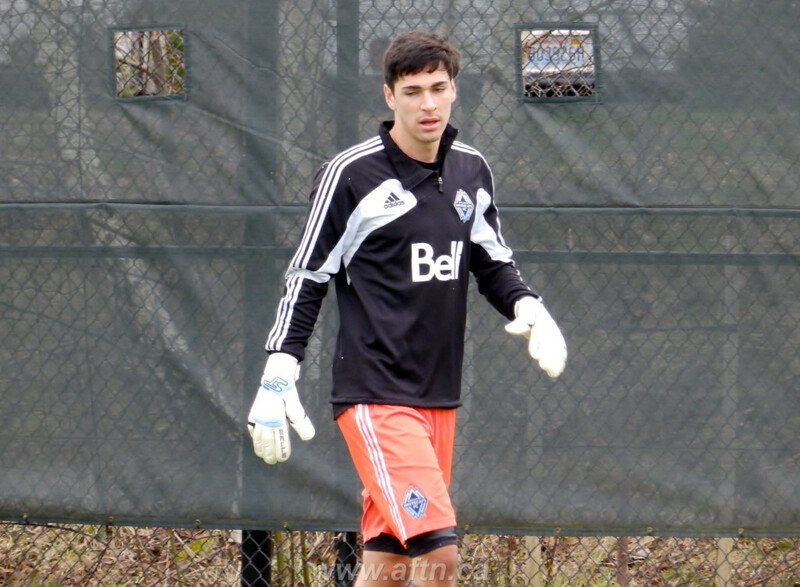 Both goalkeepers are rated highly by both the Whitecaps and the Canadian Youth teams and have split time this season in the U16s, with Trasolini also seeing some starts with the U18s. Both are 98’s and will move up to the U18 level next season. Aylward and Trasolini have the ability to be number ones and like most young keepers will have to continue to get stronger in order to control their box. It’s always very difficult to judge keepers, as many develop and get better the older they get. Coaches for the position are the best judge, and as we mentioned, the pair are rated highly by those that know. Both definitely have bright futures ahead of them. We were finally able to speak to an expert on goalkeepers who has seen the two young players in action, and can now have some individual analysis for them both. After a strong first season Aylward had to deal with some injuries which saw him start less in his sophomore year. Hailing from Ontario, the young keeper has a great presence in the box which allows him to be strong when controlling the area and good in possession. The one thing he will need to get better at is making that game changing save. 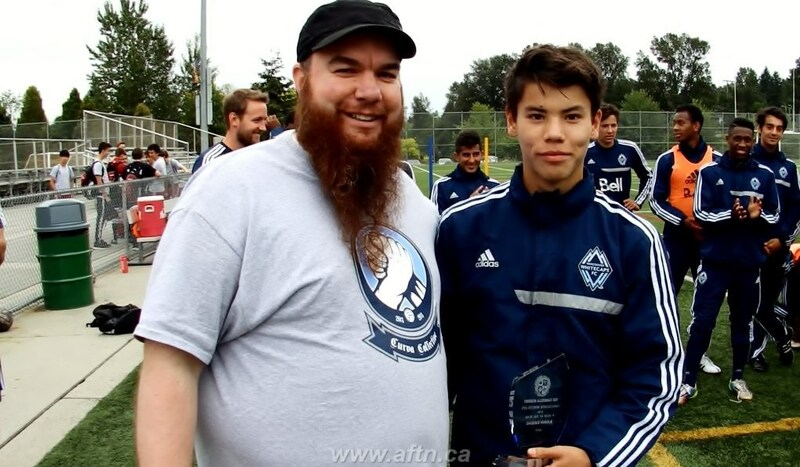 The Burnaby native has trained with the Whitecaps Residency since 2008 and has doubled his starts in his second season with the U16s. Trasolini is considered to be a very good shot stopper which gives him the ability to change the outcome of the game. While very comfortable in possession he will need to work on managing the game and consistency which is normal for young keepers.